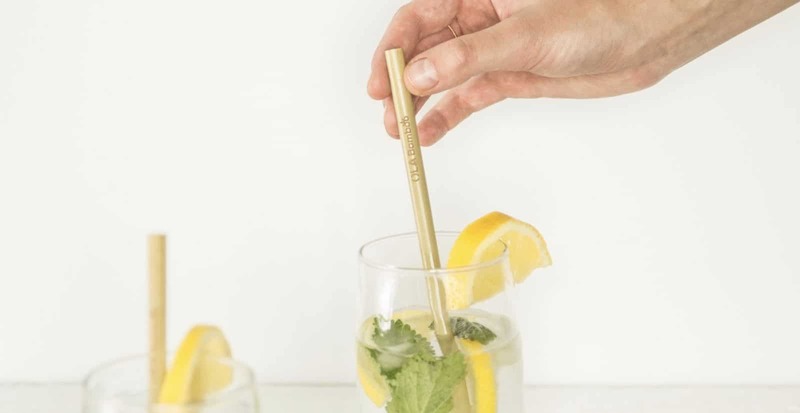 OLA Bamboo - Bamboo straws: The end of disposable straws! – A gin/tonic… no straw please! Honestly, I feel really guilty when I forget the last portion of my order. Because, if I don’t ask… There will be a plastic straw in my drink. It has become a habit to put a straw in every glass… Even sometimes in a glass of water! Ouch! Is it really necessary? Fortunately, we are more and more aware that straws are a real curse. In fact, more than one billion straws are thrown away worldwide every year. The problem is: they are made to last… Plastic takes over 500 years to disintegrate! But straws are single-use items. It comes as no surprise straws are in the top 10 most commonly found pieces of trash during beach cleanups. And yes, we can all do our part to reduce their negative impact on the environment. Eliminating disposable plastic straws will not solve all the pollution problems… But it’s a step in the right direction. And it’s how we’ll end up having a significant impact on our beautiful planet! This entry was posted in Green lifestyle and tagged bamboo, disposable straws, OLA Bamboo, reusable straws, straws.